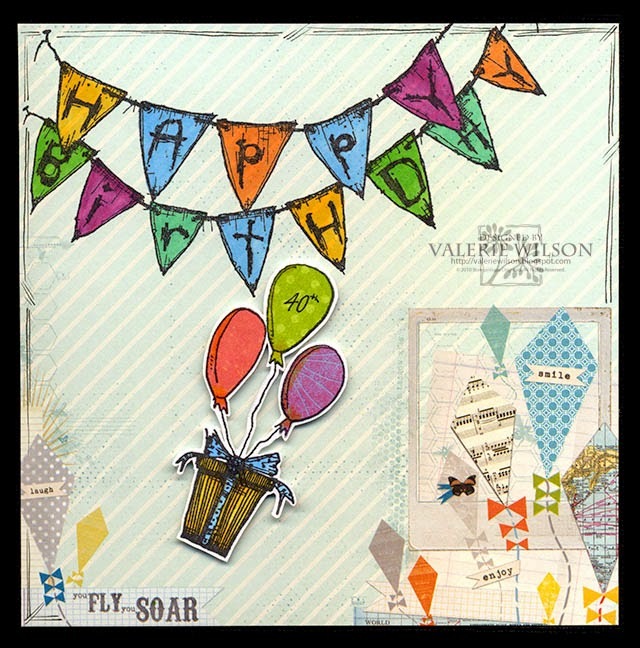 Valerie H. Marshall: Tuesday with Stampotique and Birthday Bash! Tuesday with Stampotique and Birthday Bash! Today is hubby's big bday.... so, we're celebrating! Thanks for dropping by to join the fun! "The first forty years of childhood is always the hardest." HAPPY BIRTHDAY Congratulations to your Husband, hope you both have a fabulous day. Love the colorful banner you created! Happy B-day to hubby ! I am sure he'll love this fun card ! I love that the stamps of the Stampotique stamp designers seem to work so well together, and the card for your husband is just a perfect example! Well done, Val!